1978 specification intersection marker. Manufactured between 1978 and 1990. 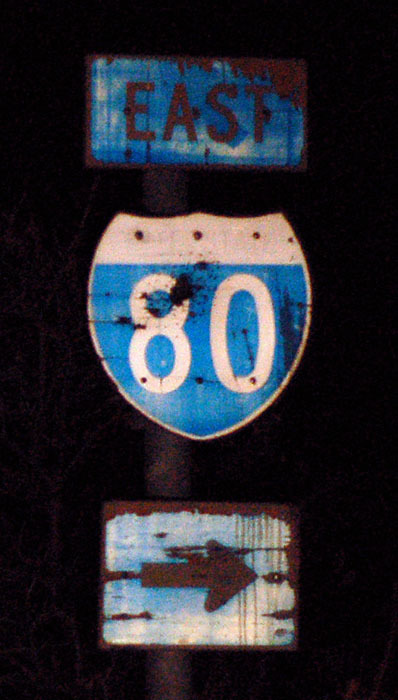 This may be the oldest surviving I-80 shield in Utah. Photo by Jake Bear, 10/26/2007. Click here to browse through the Utah selection of our catalog of historic signs!